Blackpool FC have reached three FA Cup Finals, finally winning the trophy in 1953. Two of these dates coincide with our weekly Sporting Memories sessions and so we plan to use these dates to celebrate these events. Join us on Wednesday 24th April from 10.30am – 12.30pm at The Grange, Bathurst Avenue, Blackpool, FY3 7RW where we will discuss how the 1948 FA Cup run unfolded, which culminated in Blackpool FC reaching their first ever FA Cup Final against Manchester United. To celebrate the anniversary of this event, join us to hear and share stories of both clubs journey to Wembley, including memorabilia, with guest speakers. Also, join us on Thursday 2nd May from 1 – 2.30pm at Bloomfield Road, Sponsors Lounge (enter via Main Reception), Seasiders Way, Blackpool, FY1 6JJ where we will discuss the legendary FA Cup of 1953, which culminated in Blackpool winning the trophy for the first and only time by beating Bolton Wanderers 4-3 in one of the greatest cup finals of all time. To celebrate the anniversary of this event, join us to hear and share stories of this incredible victory with a guest speaker. For further information, please call Dave on 07786 361238, or the office on 01253 348691 or email jason.white@bfcct.co.uk. 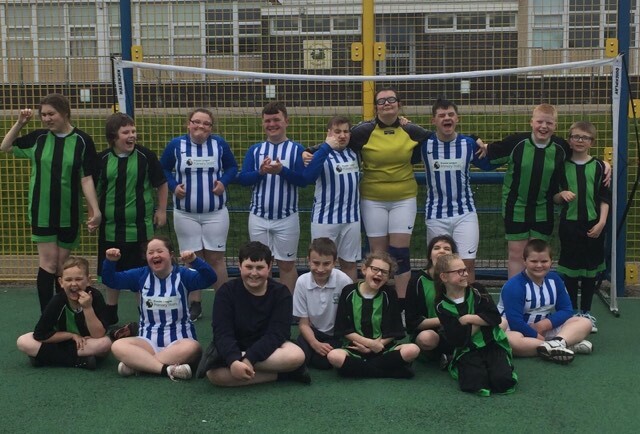 We had a fantastic start to Autism Awareness Week on Monday 1st April, with Park Community Academy and Woodlands school coming together to play a friendly match. 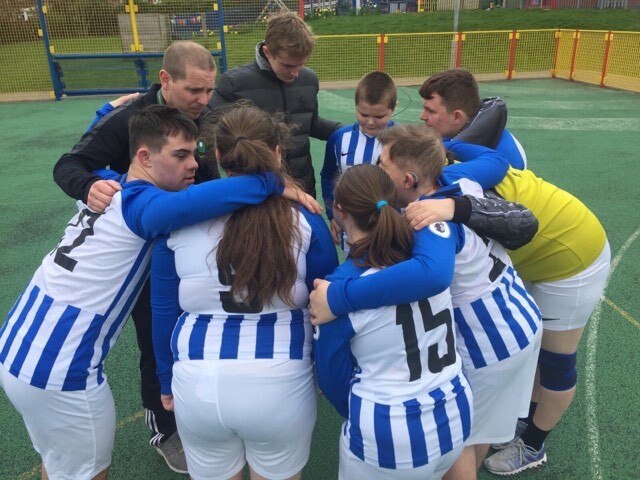 With the majority of their students having ASD and other profound and complex learning difficulties this was Woodlands first football fixture . It was also one of the first opportunities for Park pupils to represent their school in a competitive football fixture. 4:30pm – 5:30pm for 7 – 16 year olds (£3 per sessions) and 7pm – 8pm for 16 year olds and over (£1 per session). These sessions take place at PlayFootball, Garstang Road West, Blackpool, FY3 7JH. This entry was posted in Latest News on April 4, 2019 by Lauren Cholmondeley. As the exam period is fast approaching, we want to offer all GCSE and A-Level students across Blackpool the opportunity to revise with friends at Bloomfield Road stadium. Open revision sessions will take place every Wednesday 4.30pm till 6.30pm throughout April, in the comfort of the executive boxes overlooking the pitch. The revision sessions will be supported by Blackpool FC Community Trust staff, including our education programme tutors. Revising in a group has many benefits, including keeping motivated, learning from each other and discussing topics also helps to commit them to memory. As part of the sessions, you will be provided with flipchart paper, post it notes and refreshments including tea, coffee and biscuits. The sessions will take place on Wednesday 3rd, 10th, 17th and 24th April. Access to the stadium will be through the Blackpool FC Community Trust office. If you would like to come along, please contact Blackpool FC Community Trust on 01253 348691 and book your place. This entry was posted in Latest News on March 29, 2019 by Lauren Cholmondeley. 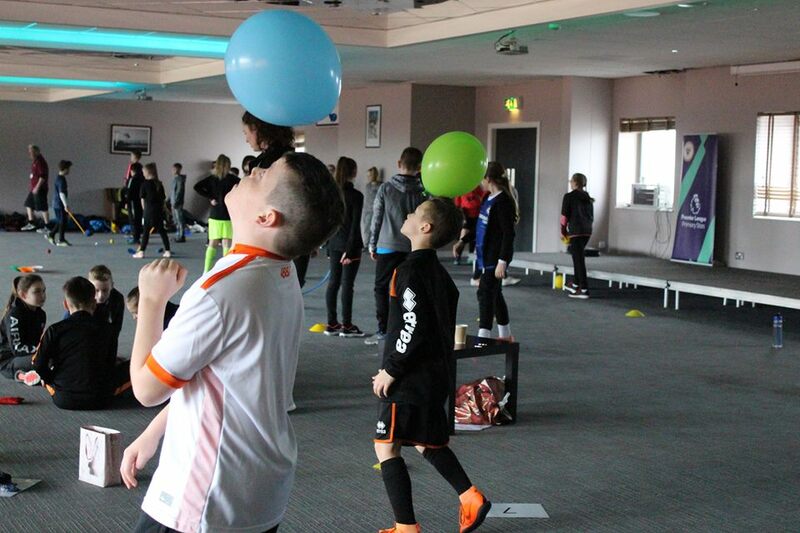 During the February half-term, 56 pupils from 11 Blackpool primary schools attended a two day Gifted and Talented camp held at the home of Blackpool FC, Bloomfield Road. 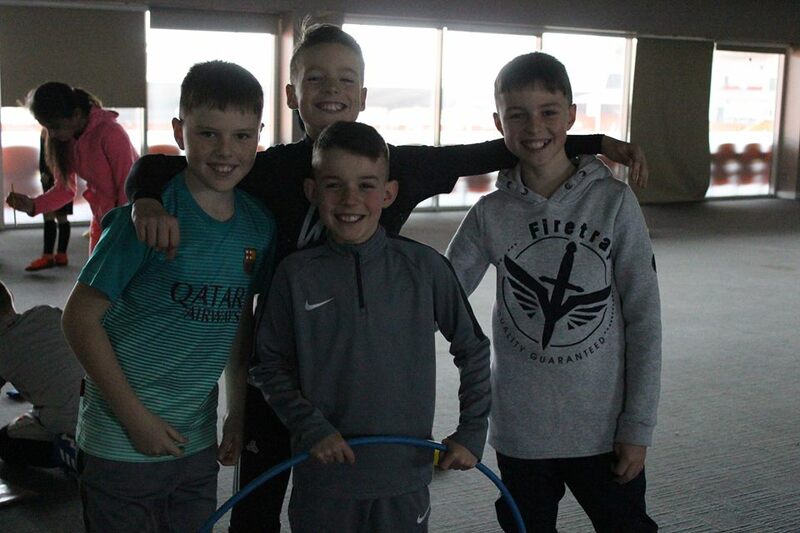 Pupils in years 5 and 6 who have been identified as being particularly talented within Physical Education were invited to attend the camp to give them the opportunity to extend their learning beyond the National Curriculum. 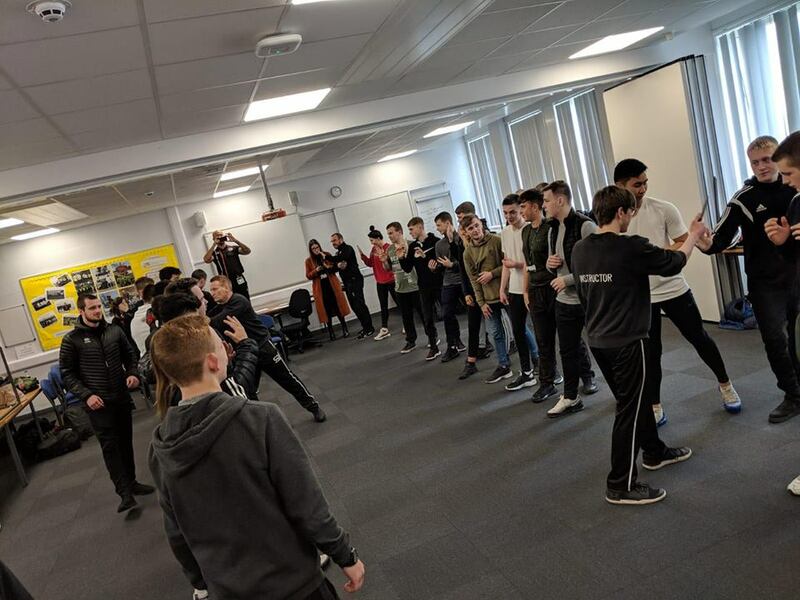 They took part in a variety of activities that allowed them to focus on qualities such as communication, teamwork, leadership and resilience. “This morning has been really fun and challenging, I’m really excited to come back”. The Gifted and Talented programme, part of the Trust’s Premier League Primary Stars project, is delivered in partnership with Sport Blackpool. 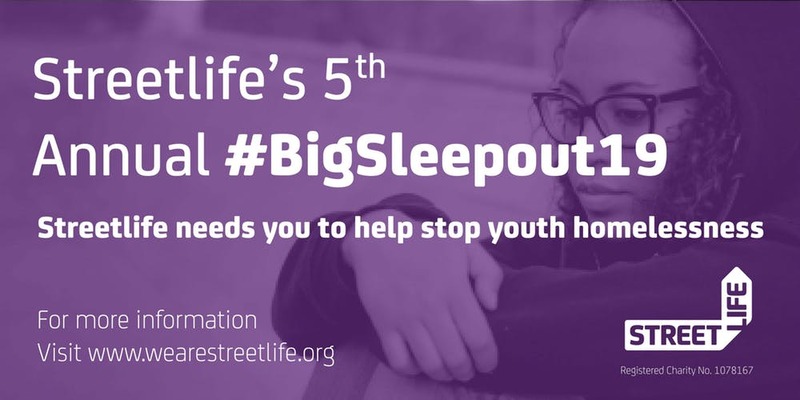 The two organisations work together across a number of areas to provide opportunities to the young people of Blackpool. Over the previous 12 months the Gifted and Talented programme has been trialled which has included a number of camps, similar to the one recently delivered, and a festival that had 60 pupils attend. The camp during February had the highest number of pupils attend yet, which has been achievable through this partnership work. Pupils will now be invited to attend a further two camps during the Easter and May half-terms to further develop their skills, culminating in a Gifted and Talented festival in June. 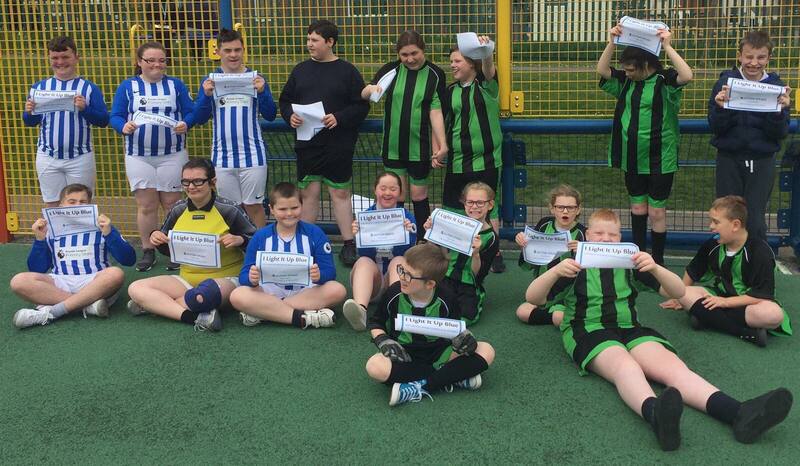 Throughout every week we provide a variety of activities all over Blackpool to support our community. EFL Day of Action took place on Tuesday 19th March 2019 and is a day to celebrate what people do for each other. We also held an educational Q&A session encouraging local school pupils to ‘Show Racism the Red Card’, visited St Teresa’s Catholic Primary School to see part of our Premier League Primary Stars provision and went to Highfield Day Care Centre to speak to one of our Traineeship participant and see her in action. We will be holding more Knife Crime Workshops throughout the year. If you would like more information please keep an eye on our social media pages or contact Michael on 01253 348 691. This entry was posted in Latest News on March 28, 2019 by Lauren Cholmondeley. 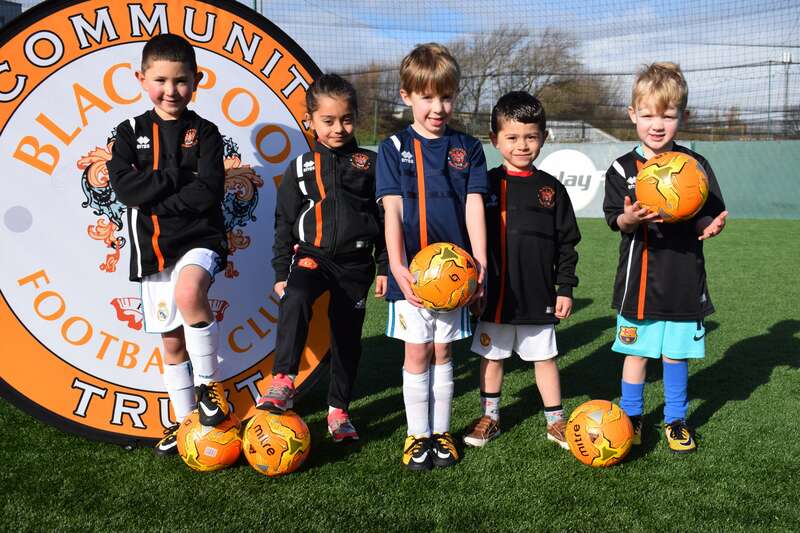 Tiny Tangerines is a football activity session which aims to increase confidence and co-ordination for children from reception upwards, giving them the opportunity to engage with other children whilst developing football skills. THE TIME AND DAY IS CHANGING. For more information on Tiny Tangerines please call 01253 348 691. This entry was posted in Latest News on March 22, 2019 by Lauren Cholmondeley. We had the honour of being involved in the Royal Visit to showcase the great work we deliver for our Early Years as part of our BetterStart Fit2Go programme – Move, Play & Grow with your child. “On Wednesday 6th March, we were invited to Revoe Park for the showcasing of the new community garden. Special guests the Duke and Duchess of Cambridge attended to see the work that had been done by many volunteers. We were there to show our Early Years provision ‘Move, Play & Grow with your child’ which is funded by Better Start. A few families that have been part of the programme, were chosen to attend and get involved with some healthy lifestyle activities. It was an honour to be invited to the event and to be part of a special day”. – Zoe (Health Officer). More information on these sessions can be found here.